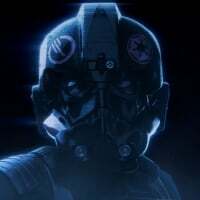 So we've got a window of opportunity where Bespin has been handed off and the devs have been given some respite and a chance to interact with the community (thanks again guys, it's honestly really encouraging). If you could be in LA for EA Play and have just a moment to mention a small idea, a realistic and achievable one, what would it be? There's been a fair amount of openness and discussion about that over the last 48 hours, I'll reserve judgement but currently seems hopeful! Just read through your post, agree that getting 'locked up' in stun animations can be a pretty frustrating problem. Honestly there's just heaps of little things I'd love to talk about or ask their opinion on whilst playing through the games. Stuff like stopping people from being heroes or using vehicles twice in a row, rubberbanding mechanics (ways to help losing teams such as with more powerful powerups and hero tokens spawning closer to their side), multiple heroes at once in big modes (come on it'd be cool) but either tied to events (beware the hero token hunters) or just as a chance even when both heroes are still alive, perhaps biased to the losing team to give them more chances. I'd also ask about rewarding heroes for objective play and defeating other heroes with health drops, but to compensate introducing a very slight health drain (like 1 hp loss every 2 seconds, increases to 1 hp a second over time) after the first minute or two of gameplay to help limit hero camping and to reward team beneficial play. No more Boba's hiding in an obscure corner of the map forever, they can either go for heaps of kills or run in and try take an objective for a chance at health! Indeed, go to the last comments there's some footage of exactly why they need to take these solutions on board. Oh yeah another one; purchased or favourite skins placed together for easy selection. Hate scrolling half a mile from Shadow Trooper to Standard. I am 100% on board with that suggestion! I really want those Mon Calamari rebels, too. It's the thing I've wanted most since release. 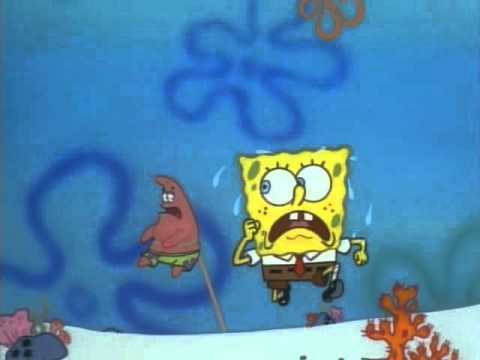 This is pretty much what happens when you get stunned while running away. add me to this list. I'd like to see unlocked characters listed at the top, with the option to arrange character listing as we like. Many hues were hued that day. The ability to assign a skin to a card hand? With more hands being creatable of course! 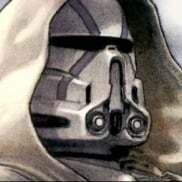 I want to play a regular trooper on tatooine, but be a shadow trooper on sullust. Trouble is i can't be bothered to scroll all the way up then back down again, so i just stick to scout and shadow. I'd love to be able to create and save more hands, even if we can still only take two into a game. Although that would be perfect, it's never going to happen. The best we could ever hope for imo would be to be able to move down when on the shadow trooper, taking you back to the top of the list. I could live with that. I have had the game since EA early access and still play it. 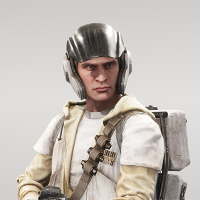 To this day i have NEVER purchased a helmetless trooper. Yeah, hope @FireWall heard us on this.. You cannot imagine how many people I know reject my suggestion of playing some OR HvV because of the round nerf limit to 3 rounds and the playlist.. Pretty sad, I love OR alot ! The lag has been bad the past few days. This post is probably why the devs have avoided the forums. I can't imagine it is fun being inundated with questions and requests, especially after so much vitriol being batted their way here over the months. I imagine you're right, this post is probably the entire reason for that. after all isn't the whole point of the forums for us to be able to give the devs useful feedback? If into the security holograms of DICE devs you go, only pain will you find. Ask them I will about their choice of heros and why lesser known ones were allowed over known "canon" ones. There are many things, but if there was just one I could ask of, I would get on my knees, put out my wallet, and beg for a server browser ( + rented server slots).